For any booking queries and dietary requirements, please contact the treasurer Sophie, sophie.vondergoltz@bonhams.com. This year’s lecture is organised in collaboration with the Wallace Collection and part of a seminar series exploring the history of collections, especially in the eighteenth and nineteenth centuries in Paris and London. 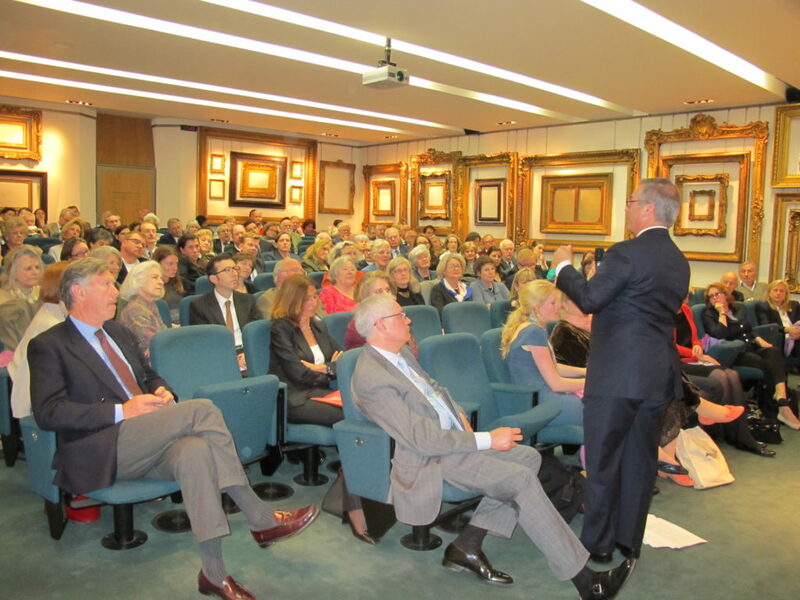 It will take place in the Wallace Collection Lecture Room, and is also open to the public. Writing in his Reminiscences Ferdinand de Rothschild recalls not only the unprecedented prices fetched by Sèvres at auction in the 1850s, but also indicates its engagement with the art market, with antique dealers (or ‘brokers’) and with individual collectors. Additionally, at the same sale the 4th Marquess of Hertford paid an unprecedented £1,942.10 for a pair of rose vases, which according to Henry George Bohn, were purchased by Bernal in the early 1830s from the dealer Henry Baring for only £200. In twenty years, the value of Sèvres porcelain had increased exponentially, intensified by the competitive nature of the auction room, where several arguments and even physical fights occurred owing to the ‘mania’ for Sèvres porcelain. Collectors were criticised frequently by contemporaries who were repulsed by the increasing amount of money spent on Sèvres, despite this, between 1852 and 1875 over one thousand pieces of Sèvres were exhibited across Great Britain. Overall, this talk will introduce the concept of ‘Sèvres-mania’ as a legitimate and scholarly term by tracing the histories of collecting and displaying ‘old’ Sèvres porcelain in Britain in the later nineteenth century. Caroline McCaffrey-Howarth is an AHRC-funded Ph.D. candidate and History of Art Tutor at the University of Leeds. Her doctoral research examines the ‘mania’ behind the histories of collecting and displaying Sèvres porcelain in Britain from 1802-1882. In Spring 2017 she was a Visiting Research Fellow at the Winterthur Museum with University of Delaware. Caroline is the Chair for the Doctoral and Early Career Research Network for the Association for Art History, a founding member for the History of Collecting Society and on the board for the French Porcelain Society. Previously Caroline worked as a Curator for The Chitra Collection, a private collection of decorative arts in London, where she curated an exhibition on ‘Tea, Art and History’ in the National Museum of Kazakhstan from July-October 2015. Caroline read Art History with French at the University of St Andrews and holds a MA in Decorative Arts from the University of Buckingham/The Wallace Collection. 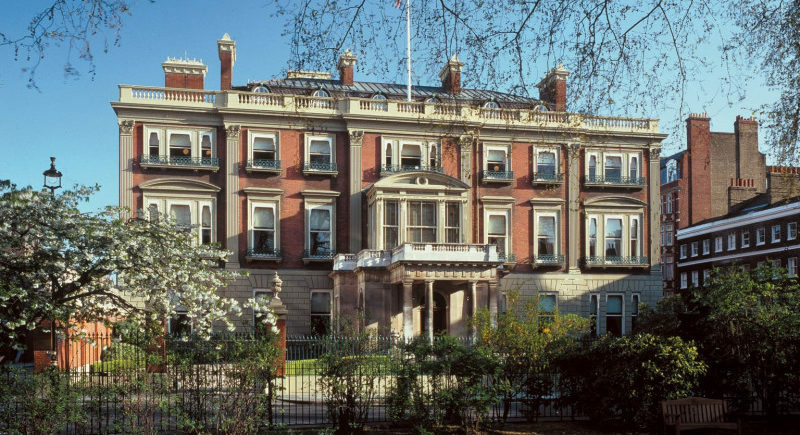 Following the lecture, the Annual General Meeting and Dinner of the Society will be held at the Mandeville Hotel, Mandeville Place, Marylebone, London W1U 2BE (five minutes’ walk from the Wallace) at 7.00 pm.